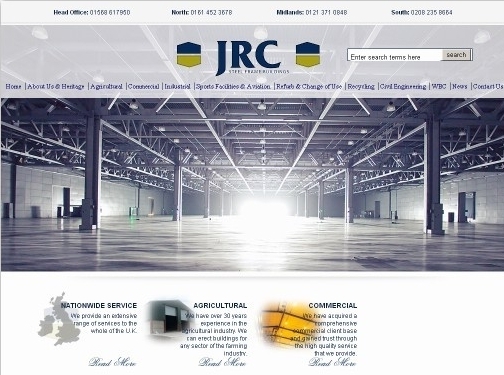 For over 35 year John Ruck Construction have been constructing steel farm buildings and industrial units in the UK. The company have a large list of satisfied commercial clients in industries ranging from agriculture to aviation. UK (Leominster) based company - established in 1979 - providing construction / building services. Website includes details of services provided, testimonials, news section, photo gallery, full company contact details.